COMMENTS: Quality product, nice tight crinkles. Fun filler to use in baskets. COMMENTS: I love using this for filler in my gift baskets- best price I've found so far too. COMMENTS: This had WAY more product than I thought it would. Plenty for my baskets. COMMENTS: I package all of my products with this filler and it gives it a nice look. COMMENTS: Packs orders nicely and looks great. COMMENTS: Great value for the upcoming holiday gift baskets, boxes, decorations, ect. COMMENTS: love the texture and the color!
" 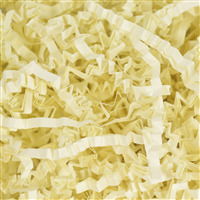 Crinkled Paper Filler - Brown"
COMMENTS: I use this as a filler when packaging up gift sets. It has a natural look. COMMENTS: I use this to fill extra space in gift baskets and it works great. COMMENTS: I use this for both gift packaging and shipping. More convenient to use than the colored ones. COMMENTS: I ordered 5 pounds of the crinkled paper fill & wow! I'll have enough to fill my bath bomb packaging through the holiday season & into the new year! Such a great value! Great quality! COMMENTS: This is the best quality and great price... perfect for gift boxes and bags! "Great Filler - Natural Crafty Look"
COMMENTS: Great product, I use in packaging gift boxes, baskets and small shipping boxes. COMMENTS: I was looking for this to use as filler for my gift baskets. I couldn't find any around town, and got a small bag of this to try out. It's perfect! Just what I was looking for! "No more sitting in front of the shredder!" COMMENTS: This was the best money spent. We used to shred paper ourselves and am so glad we bought this. They pack a grip in 5lbs! Should last us a while. COMMENTS: perfect for filling in my shipping boxes on all my orders. better then using peanuts that arent as cute. COMMENTS: I like the brown paper for use in my naturals gift baskets. It doesn't seem to stay as fluffy as the regular paper, so I use a little more. Still a good deal price wise. "Love WSP's Crinkle Paper for so many reasons!" COMMENTS: I do a lot of specialty wrapping on my soaps and bath bombs. I use crinkle paper as a filler and a moisture eliminator. It really cuts down on the moisture condensation that can pop up in plastic wrapping due to temp changes in shipping and at outdoor craft fairs. WSP crinkle paper is just as good as craft store versions and way, way cheaper! "I won't buy it anywhere else!" COMMENTS: Perfect! No need to fluff it up. I use it in all my gift baskets. COMMENTS: I use this paper in my Men's Shaving Soap Kit Bags. It helps keep the brush and soap refills steady and looks very professional. "Great for my silver gift baskets"
COMMENTS: I needed something to lift up my products in a gift set and I wanted the natural look of this crinkled paper. It is exactly what I wanted to give - that natural look to my display. It is wonderful to have everything you need to make and finish your products. With my products in mind, not having to retool other things to work for a display. COMMENTS: This is a great value for what you get. Works great to make gift baskets and boxes, and is easy to use and store. COMMENTS: I use this filler for all of my packaging of soap gift boxes and bath fizzies. It is economical and comes fluffed. "a LOT for your money!" COMMENTS: just like the description says, this stuff is a perfect basket filler. 1 pound is this giant bag that seems to last forever. 5 pounds and you will need to find extra room in your workshop! COMMENTS: Love this for my baskets! 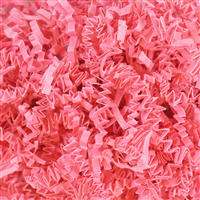 It gives a nice natural look, also use as a filler in pillow boxes for fizzies & soaps. "Perfect Filler For My Gift Baskets"
COMMENTS: This is just the thing to use as filler in my soap dish along with my handmade soaps! Makes a really nice presentation. COMMENTS: This crinkle paper is perfect for packing my products for shipping! It gives a nice look and feel to my recycled cardboard mailers. A 1-pound bag lasts about 12 or more small box shipments. I'll be ordering the larger bag next time! COMMENTS: I use this filler for everything! I fill baskets with it, use as a extra little something in my gift bags, and even use as packing filler. Just perfect and a HUGE bag for the price! COMMENTS: Great product with a great price! COMMENTS: Absolutely love it!!! 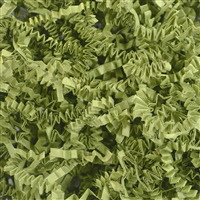 Great for my gift baskets and other items where I need stuffing. "How many cups do you get in one pound? thanks"
Staff Answer This is not a product that can be easily measured in cups. The 1# bag of crinkle paper measures around 12"x12"x6" and there is quite a bit of crinkle paper in this bag.